The Paper Pulp Helmet’s designers claim it “meets stringent European safety standards”, and that they’ll be able to sell the packing material’esque helmets for about $1.50 retail – making them cheap and much safer than riding without a helmet – the option that many, unfortunately, seem to choose when renting a bike. 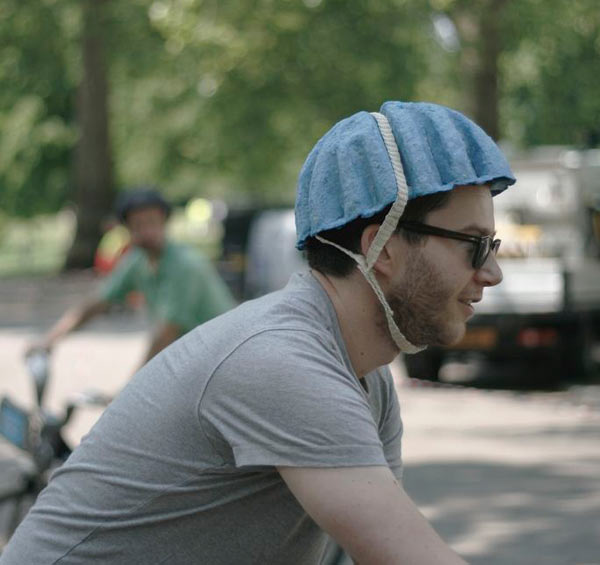 Currently the Paper Pulp Helmet is still in its infancy stages, but the concept is a great solution to an inherent problem liability issue with the bike share programs worldwide. This entry was posted in Bicycle Safety, Bike Sharing, helmets and tagged bike-share, bikerumor.com, Jordan Carr, Paper Pulp Helmet. Bookmark the permalink.